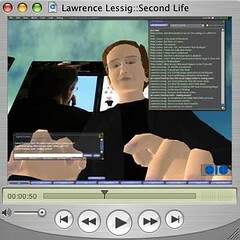 The Faux Press reports on Lawrence Lessig who's on tour with his book, "Free Culture" and spent some time in Second Life talking about the Creative Commons. I just got around to seeing this. Excellent job! Thanks for making that.